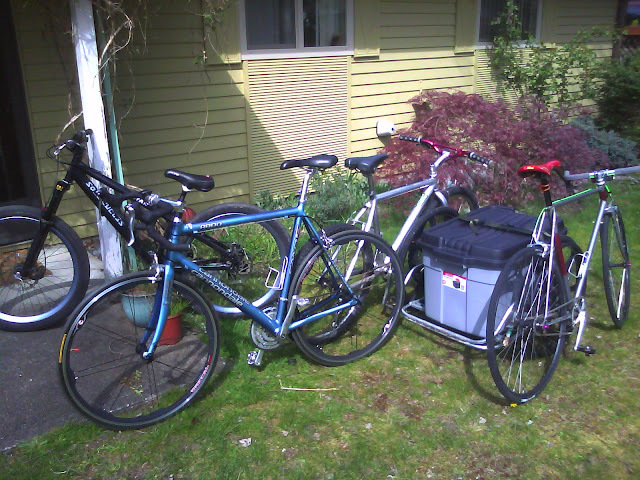 Here are pictures of most of the family stable of bikes. 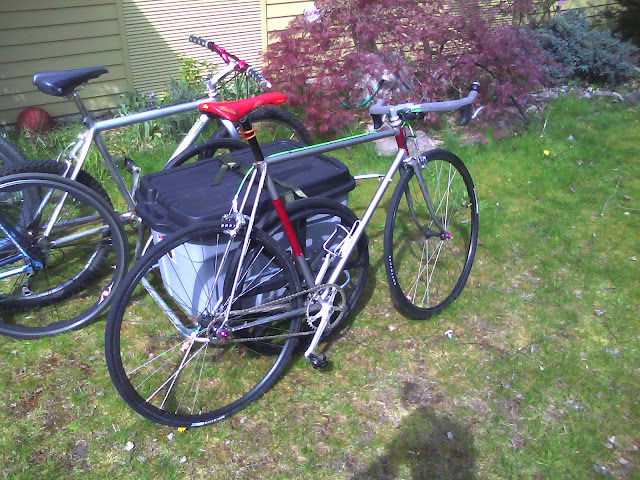 Admittedly at least three of these are mine. 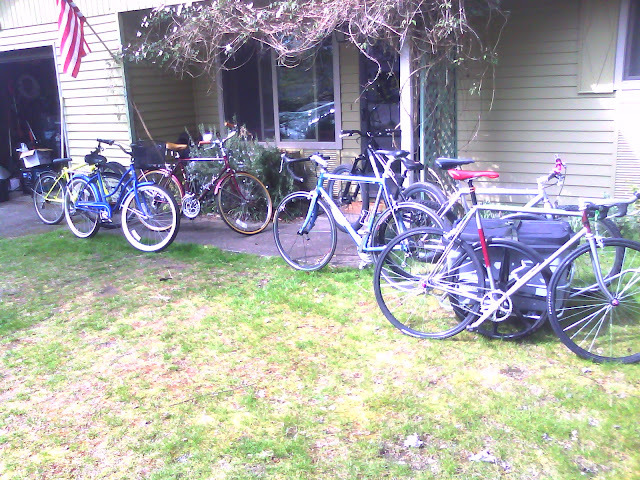 I spent part of the weekend cleaning out some unnecessary clutter from my garage and had to corral the steeds outside. I will be adding another trailer to the mix soon too. Stay tuned (he says as though anyone is actually paying attention).